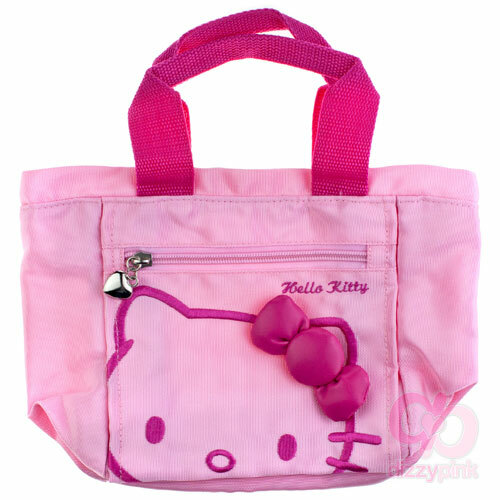 Be the envy of all your friends with this bold, hot pink, 3D kitty handbag. This simple yet striking design features Kitty wearing a 3D, hot pink bow. The two zips boast added detailing of heart charm fastenings. With sturdy handles as well as a handy front zipped compartment and inner phone pocket, this bag is both stylish and practical with everything you need to get on with your day the Kitty way! (H) 20 x (W) 27 x (D) 2cm.